Earn $1.23 in VIP credit (123 points)What's This? 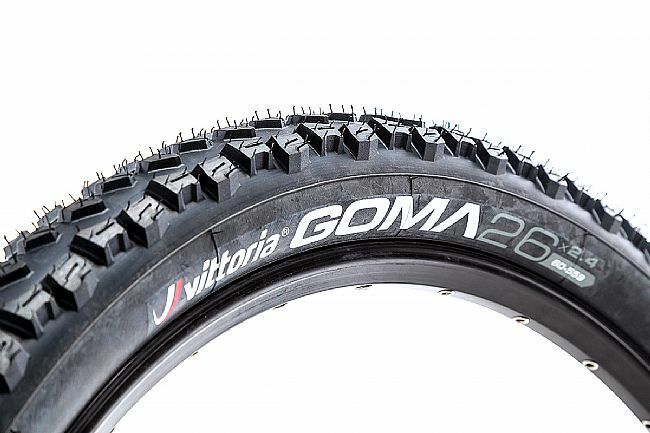 The Goma 26" MTB Tire from Vittoria is versatile and durable, featuring a large surface area knob profile in which each knob has directional siping that flexes under load for traction while cornering and braking. 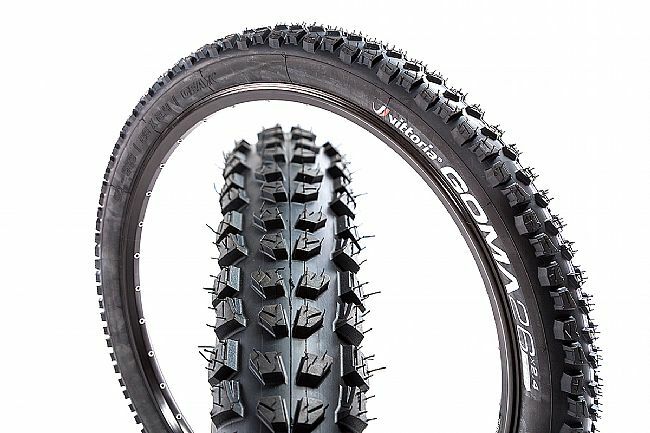 It's highly durable -- even in rocky conditions -- and excels in a variety of terrain types, from dry to hardpack to mixed. Large surface area knob profile. Directional siping on each knob enhances traction. Highly durable in hardpack and rocky conditions.